Ed was great, the whole process of buying a new car was seamless. I am 60+ and he was very patient, answered all my questions and went the extra mile to locate the car I wanted, Honda HRV with FWD and Silver. Also got a good deal on my old car. Last time I bought a car was in 2007 and after a grueling 4 hours was out the door. This time I was in and out in less than 2 hours….much better and no stress. This was my 5th Honda from this Dealer. Ray helped with the prep before I took off. Also Scott was wonderful on the finance side of things. Donna Have a Happy Day! Worked with Mike in Sales. Unfortunately my wife and I are still working on finding the perfect vehicle for us, but the atmosphere there was much better than most other dealerships we've been to. If they get a vehicle in that matches our needs we will be back to purchase it. 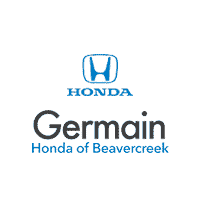 This is the 2nd car I have purchased from Germain Honda. Mike Wilmouth and his Manager Jason have been terrific and very accommodating. I ran into a few issues and Mike and Jason were on it straight away, got things taken care of and were in constant contact the whole time. Ted Spangler the Finance Manager was absolutely great too!!! Got me in and out and made the "paperwork" process quick and easy!!! Mike, Ted, and Jason's customer service was SUPER!! Thank you!!! Purchased a vehicle from Steve and he made the entire experience easy. Straight forward, responsive, and went above and beyond. There was an issue with the vehicle just over a week after it was purchased and he made sure it was taken care of properly. Couldn't ask for a better person to deal with. Will be recommending to any and all people I know are in the market. Thanks so much Steve. This dealership was definitely one of the best I have been to. Jay went above and beyond to make sure I purchased the vehicle I was most comfortable with. He let me take it out for a drive to make sure I liked it before considering the purchase. Then we started on the paperwork and he answered all of my questions. He is very friendly and professional. I would recommend this dealership for anyone in the market for a new or used vehicle! I notice a small spider hole in my windshield 2 days after I purchased the car. The hole had been patch by Germain and can not be re-patched. So I will have to have a new windshield put in (which is costly). The patch job wasn't a very good patch job. Brandon was wonderful! Very professional and it was easy to be relaxed around him. He helped me through the lease process and answered all of my questions. And after I had leased it, we sat in it and he went over everything I needed and wanted to know. I'd give him more than 10's if I could. He's a good salesman - keep him! !